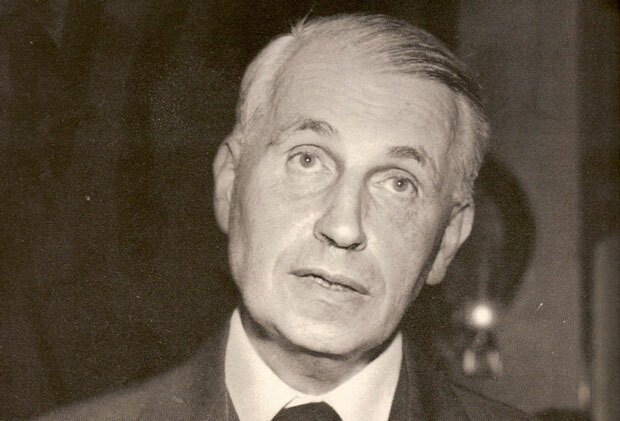 Georges Bataille, an influential French philosopher and author, was born on September 10, 1897, in Billon, Puy-de-Dôme, central France. He came from a family prone to psychological illnesses, his father was a strict disciplinarian who suffered from an illness related to advanced syphilis and his mother was suicidal, although she was never successful in her attempts. Amidst all this, Bataille grew up as a deeply religious man. Upon the outbreak of the WWI, Bataille converted to Catholicism and joined the seminary at Saint-Fleur to become a priest. Later, he joined the Benedictine Congregation at Quarr. In 1916, he enlisted in the army and served there for a year, however, he was discharged in 1917, after being afflicted with tuberculosis, which was to become a lifelong ailment. His gave away with his religious ambitions and in 1918, he enrolled himself at the Ecole des Chartres in Paris, and began studying 13th century verse and training as an archivist. In the 1920, Bataille began frequenting the circles of Surrealists, he discovered he had an ideological dispute with the views of the influential Andre Breton, and he began calling himself “an enemy from within the movement”. During this period, Georges began taking psychoanalytical treatments which were successful and enabled him to write. He edited and formulated several works on sociology, literature and religion. He did various excursions on Barthes, Foucault and Derrida. In 1935, Bataille was among the co-founders of an anti-Fascist group, Contre Attaque. In 1939, Bataille also co-founded along with Michel Lieris and Roger Callois, the College de Sociologie. He also held a fellowship at the School of Advanced Hispanic Studies in Madrid. Bataille published his first novel on sexual excess, ‘Histoire de l’oeil’ (The Story of the Eye) in 1928, under the pseudonym of Lord Auch. In 1937, he wrote and published Madame Edwarda, under another pseudonym, Pierre Angelique. His first major literary contribution in his own name come out as the Le Coupable, in 1944. He went on to publish several other books including La Littérature et le mal (Literature and Evil) and L’Érotisme (Eroticism), Lascaux; ou, la naissance de l’art (Lascaux; or, The Birth of Art), Manet and Ma Mère (My Mother) among others. Bataille worked as a librarian and medieval specialist at the Bibliotheque Nationale in Paris until 1942. In 1946, he founded an influential literary review journal, Critique, which he wrote and edited until his death. By this time, his illness began taking over his abilities to work and write. He left work for a while, and married Diane de Beauharnais in 1946, the couple had one daughter. In 1949, Bataille resumed working by taking up the position of a librarian in Carpentras, Provence. He left this job two years later, and took up a similar job in Orleans. Bataille began encountering severe financial difficulties as his medical bills had accumulated a increasing amount of debt. In 1961, Picasso, Max Ernst and Juan Miro arranged an auction of their paintings to help Bataille pay off his debts. He published his last book, ‘The Tears of Eros’ in 1961, and he died shortly after. The complete works of Georges Bataille can be found in the Oeuvres completes of Bataille.